As these words go to publication, millions are expected to take to the streets in centres across the United States, Canada and around the world, all in demonstrations timed with the anniversary of President Trump’s inauguration. The thrust of the Womens’ March on Washington and its various affiliates is getting more women involved in electoral politics and ratcheting up the voter-turn-out as the mid-term Congressional elections approach. Healing social divides, most notably around gender, sexual orientation, race, and immigration seem to be the defining issues motivating citizens to action. Interestingly, there seems to be less attention paid to urgent human security concerns related to military interventions, surveillance culture, and economic upheaval. By and large, elected representatives are prisoners to other forces entrenched in society. In particular, the various corporate lobbies, or ‘special interests’ arguably have much more of an influence on decision-making than the gender of the politician in question. Further, an advanced technological civilization has basic material requirements in terms of energy and resources that need to be met to secure the prosperity of society members at all levels. Analysts like Peter Dale Scott invoke the concept of the ‘Deep State’ as a way of referring to a permanent governing infrastructure behind the scenes that attends to these fundamental building blocks of society. The approach, at least in the U.S., typically involves forms of violence against the vulnerable including military expansionism, covert activities, and theft. 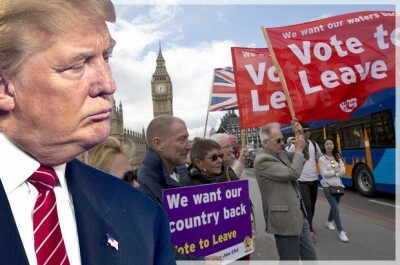 If elites are able to finance and manipulate election campaigns and election results in their favour, then what are the economic and other considerations in the background prompting the election of Trump and directing his policies in the future? That is the subject of this week’s Global Research News Hour radio program. We first hear from J. David Hughes, author of two reports on shale oil and gas plays in the U.S. released in December 2016. He is convinced that the Energy Information Administration is overly optimistic about the energy picture of the U.S. and that a near-future short-fall of domestic supply could have damaging long term implications for America’s ‘energy independence.’ This interview was originally conducted a year ago. Next we speak to commentator and past guest Mark Robinowitz. Robinowitz maintains that Trump was installed a year ago in order to take the fall for an inevitable economic collapse and to introduce unpopular military and other measures which would likely be continued under a future president, Democratic or Republican, male or female. Robinowitz updates us on his thinking, elaborating on who exactly comprises the different factions within the U.S. ‘Deep State’. J. David Hughes is an earth scientist who has studied the energy resources of Canada for four decades, including 32 years with the Geological Survey of Canada as a scientist and research manager. He is also a fellow with the Post Carbon Institute.